You wouldn't look at this and think "Picasso", would you? I certainly didn't. I went to the Centre Pompidou (Musée de l'art contemporain) again today and was surprised when I saw it. What drew me to it originally was the way the artist copied the style of an etching... with paint. 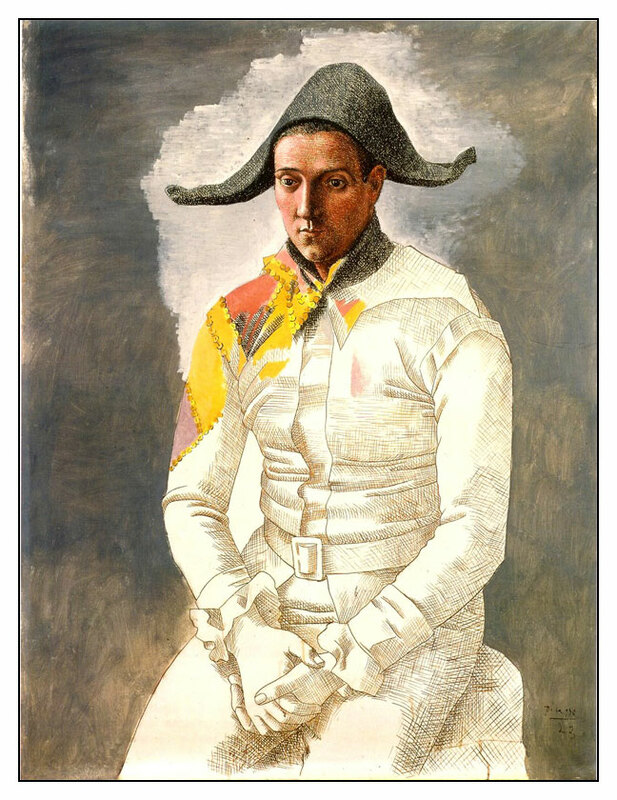 The detail of this .jpg isn't that fine, but if you peer at the harlequin's face, your nose an inch from your screen, you'll see that even in the colored part, Picasso used density of line to connote depth. I also adore the collage-y feel of it.